Brittanny Kreutzer started The Speaker Exchange Agency with a background in sales and a love for the speaking industry. She was given a taste of the speaking industry while interning in college for Nancy Lauterbach, a past speakers bureau owner. Upon graduation from college she began a successful career selling radio space and developing radio campaigns for CBS Radio in Kansas City; however, after a few years the excitement of the speaking industry drew her back-in. After working at a speakers bureau for several years and becoming one of the top sales executives, she took a break to spend time with her newborn baby Madison. 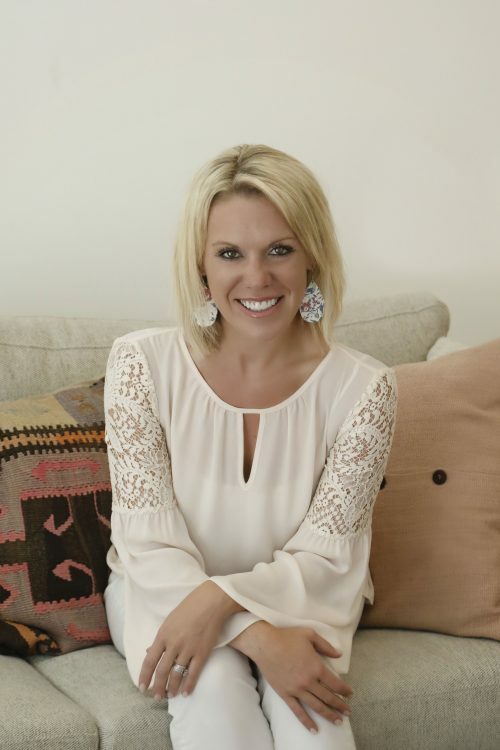 The love she has for this industry struck again and after only a short months break, Brittanny combined forces with her past colleague and friend, Julie Homsey, to create The Speaker Exchange Agency, LLC. With a passion for the speakers in this industry, she looks forward to growing SEA and connecting her clients with the amazing speakers she has grown to know and love. She is known for her “bubbly” personality, quick response times, and willingness to go the extra mile for her clients. Being able to finally know what she “wants to be when she grows up” is truly a blessing, and she feels honored to work with such an amazing team of people every day. Brittanny graduated from the University of Kansas with a B.S in Journalism. She lives in Lenexa, KS with her husband Michael, daughter Madison, son Hudson and 4 lb dog Winston. When she’s not booking speakers she enjoys spending time with family, cooking, reading and being a mom to her two small and adventurous children. Why do you love the speaking industry? I love having the opportunity to learn about so many amazing speakers! To be surrounded by great minds is such a blessing and to then get to share these speakers with my clients-I love it! Finding my client the perfect fit for their event and then reading a letter from an attendee stating that the speaker changed their life, that’s why I love what I do. What’s your favorite drink? I love coffee. The thought of my morning cup of joe can actually pull me out of bed even when I’m exhausted! I look forward to it every day-yes I’m an addict : ) I also love wine! What’s your favorite vacation destination? My husband and I love going to Mexcio. We love the all-inclusive resorts. My favorite destination in Mexico is Puerto Vallarta-Nuevo Vallarta because they have beautiful white sand beaches that go on for miles. What kind of music do you like? I love country music, but more of the “new country.” Taylor Swift, Lady Antebellum, Sam Hunt, Rascal Flatts etc. If you didn’t work at SEA, what would you do? That’s a hard question because I absolutely love what I do! If I didn’t work at SEA I might be a real estate agent or a travel agent as I love the idea of helping someone find their dream home or go on their dream vacation. What’s your favorite thing to-do on the weekend? I love spending time with my family and watching my kids play. With two little kids we are always on the go. We love playing outside, cooking, going to the pool or watching movies and having friends over. I don’t like to sit still so it’s very rare we have a low key weekend, much to my husband’s dismay. What’s your favorite type of candy? Anything with peanut butter and chocolate! Reese’s peanut butter cups are my favorite. I love the holidays when they come out with the Reese’s eggs, Christmas Trees etc. Do you have any wisdom to share? I think it’s important to look at the things that happen to us in our life, good and bad, and ask ourselves what lessons we can learn from the situation. We all make mistakes and we should always learn from them and then move on. I also believe that true forgiveness is not an act of weakness, but an act of strength. Forgiving is not something we do for the other person, but for ourselves. What’s your favorite movie? When Harry Met Sally and Christmas Vacation-They are classics! I also love movies that make you laugh so hard you can’t breathe. Some of my favorites are There’s Something About Mary and Wedding Crashers. If you could go back to talk to your 13 year-old self, what would you tell yourself? He’s not worth it : ) And have some fun! Straight A’s are good, but a B’s ok too! What are you grateful for? Heath, my family, my two beautiful children who teach me to be a better person each day, a husband who I love and respect and who puts up with me : ), a roof over my head, food in my stomach and a job that I love. I am also grateful for being able to do what I love and still be involved in my children’s lives and have extra time with them that I might not have if I chose another career path. What do most people not know about you? I’m a lefty! I also had red hair as a child (not bright orange red, but it was redish brown)…I am not a natural blonde haha! What is your favorite sports team? My Alma Mater: KU Jayhawksl – Rock Chalk Jayhawk! What is your favorite holiday? I love Christmas. As a child this was a time full of family traditions and I am so excited to start some of those traditions, and new ones with my own family. I just love the feeling of the Christmas season as it’s a time when you get together with the ones you love and you give to others. There’s also non-stop Christmas music-which I also love!